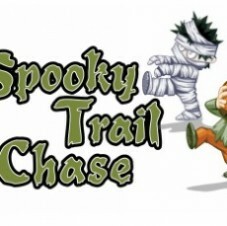 The Law Offices of Oliver & Cheek, PLLC sponsored the United Way’s Spooky Trail Run November 1, 2014. The event traveled through the spooky woods in Jones County at the Bender Le-Ray Family Farm. Ghosts and goblins lurked all around waiting to greet runners dressed in their Halloween costumes. To survive the race, runners had to make it to the finish line with at least one of the two flags (life lines) still attached on their flag football belt you must to get to the finish line with at least one flag on your flag belt. The Run United Coastal NC Trail race series benefits United Way of Coastal Carolina and all of their Community Partners. Join us for a “Coffee Break” at The Skullery in Uptown Greenville on 10/21/14 from 3-4:30pm. 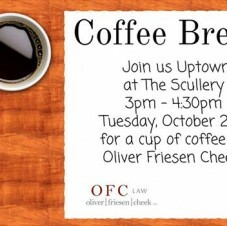 Visitors will receive a free cup of coffee courtesy of Oliver & Cheek, PLLC. 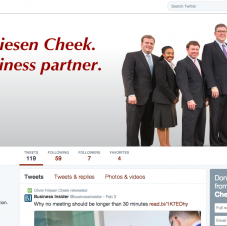 Follow us on Twitter for the latest legal updates and industry trends! NEW BERN, NC: The Law Offices of Oliver & Cheek, PLLC is pleased to announce the addition of attorney Rodney Currin to their New Bern office. Currin will focus on business entities, contracts and transactions, secured transactions, banking laws and regulations, Chapter 11 bankruptcy and business loan workouts, and employee benefits plans. 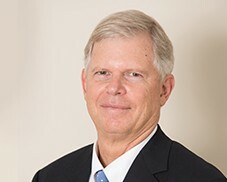 Mr. Currin has practiced business law in New Bern since starting his career in 1976. As a shareholder and member of Ward & Smith’s corporate department through 2004, Mr. Currin focused on business transactions, banking regulations, secured transactions and employee benefits plans. Prior to joining Oliver & Cheek, PLLC , he spent ten years with Stubbs & Perdue, P.A., with an emphasis in Chapter 11 and business workouts, secured transactions and business law. Mr. Currin is a member of the North Carolina Bar Association and frequent lecturer on Secured Transactions and Truth in Lending Issues. He received his J. D. from the University of North Carolina School of Law and his B. S. degree in Industrial Relations from the University of North Carolina at Chapel Hill. Oliver & Cheek, PLLC is a full-service business firm providing a wide range of legal services to clients in Eastern North Carolina. The firm’s major practice areas include bankruptcy; loan workouts; business entities and transactions; estate planning and administration; elder law; commercial real estate; tax planning and controversies, and state and federal civil litigation. The firm has offices in New Bern, Greenville and Wilmington. George Oliver was recently designated as a Lead Counsel Rated Attorney. The Lead Counsel Rating was established in 1997 as a quality assurance tool consumers and businesses can use to quickly and easily evaluate a prospective attorney’s ability and credibility. When you see the rating, you can be assured the attorney has met strict qualification standards that include professional experience, peer recommendations and a spotless disciplinary record.